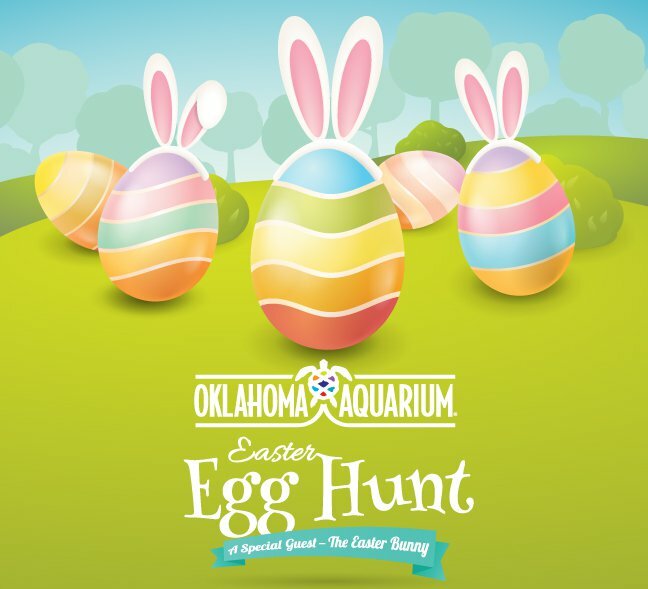 Bring the kids to the Oklahoma Aquarium for a Saturday of fun at the Easter Egg Hunt. This indoor event will be held around all the Aquarium's exhibits, so there's plenty of excitement to be had whatever the spring weather brings. In addition to the egg hunt zoned by age groups, enjoy a petting zoo, bounce houses and photos with the Easter Bunny. Don't miss your chance to make some memories during this festive celebration in Jenks. Egg hunt starts at 10:30am. $13.95-17.95 While every effort has been made to ensure the accuracy of the pricing listed above, prices are subject to change without notice.